PS4 owners have had a real spoil of riches of as late, with the likes of Horizon: Zero Dawn and the more recent God of War blowing away expectations on Sony’s console. So, in the spirit of highlighting the best of the best out there, we thought we’d put together the 5 best PS4 exclusives on Sony’s console that you need get your hands on! If you love Indiana Jones‘ style shenanigans, packed with gunfights, fisticuffs, and massive explosions, then the Uncharted series should be on your radar. The fourth and final primary instalment delivers all that, along with bigger environments, a grappling hook, and refined combat, along with providing the bookend to the story of treasure-hunter Nathan Drake. Naughty Dog’s The Last of Us was originally a PS3 game, but this remastered version is exclusive to the PS4, and brings with it a spiffed-up edition of the award-winning title, along with some visual and frame-rate improvements. The game follows two characters – Joel and Ellie – as they have to make their way across a post-apocalyptic US hit by a zombie-like fungal outbreak. It’s haunting, spine-chilling, violent, and oddly beautiful and one of the best games ever made, let alone PS4 games. Even though God of War is a new addition to the PS4, there’s no doubt that it’s one of the best. This revitalised sequel sees the return of the deity-killer Kratos in a new adventure which takes a detour from its Greek roots and delves into Norse mythology. The brutal, visceral combat is still there, along with the trademark platforming and puzzle-solving, but we also get a more relatable story and look into Kratos’ relationship with his son Atreus, making this one of the best of the series. 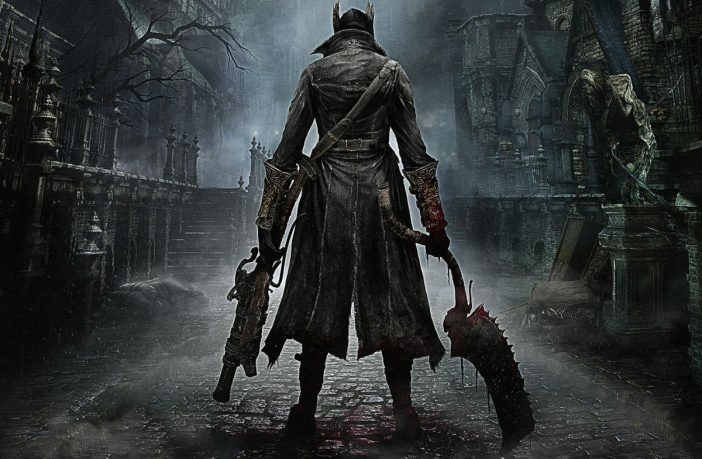 If you’re up for a challenge, Bloodborne will gladly give it to you – thankfully, it’s so good that you’ll be happy to endure the difficulty curve. The game combines gothic horror with a Lovecraftian theme, and has tight combat, some pretty interesting weapons to play around with, and some of the most grotesque creatures seen in any video game. Horizon: Zero Dawn is a gorgeous visual romp through post-apocalyptic Earth with gameplay that’s addictive yet challenging, throwing you into exciting hunter vs. predator battles against giant robotic dinosaurs. There’s no denying that Zero Dawn just oozes triple-A pedigree – from the visuals, massive open-world, presentation, and snappy controls – it all looks and feels immaculate, and coming from the team behind the acclaimed Killzone series, we expected nothing less. Will you be picking up any of the above PS4 games? Any Sony exclusive you think deserves to be on the list? And if you want to find the best deals on other big games currently available and for pre-order, check out more gaming deals on Pricecheck here!